2014 has been a very productive year for the „As-Soon-As-Possible Island“. The cooperating German and Indian people, NGOs and companies have together with lots of glocal volunteers and spontaneous partners developed the OPEN-ISLAND construction kit in Goa/India. Get ready for 2015 actions. Our Facebook-group has grown to more than 1500 members, we´ve gained a lot of international attention (through our presentations at MakerFaires and other conventions) and found new partners to expand our activities. Also, the individual development of the core team members has evolved (which is great, as we need to earn money as well): Deepak has launched his DArtofScience YouTube channel with more than 60 FunScience-Clips so far. 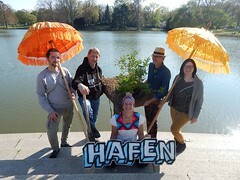 Joy has established the Northern-German artlab4-Collective, as well as the local KdW-Network (Culture-of-Change) in Hanover and has become a German representative for the REconomy-movement of international Transition-Initiatives. Vinesh and Darryl stage one music festival after the other with their ArtEscape Goa and have finally established their Inspire Trust NGO. 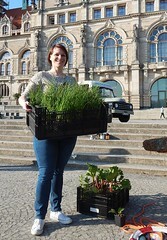 And Anna now totally focuses on international community development with Living Bridges Planet and local City-Hacking in Hamburg and Berlin. 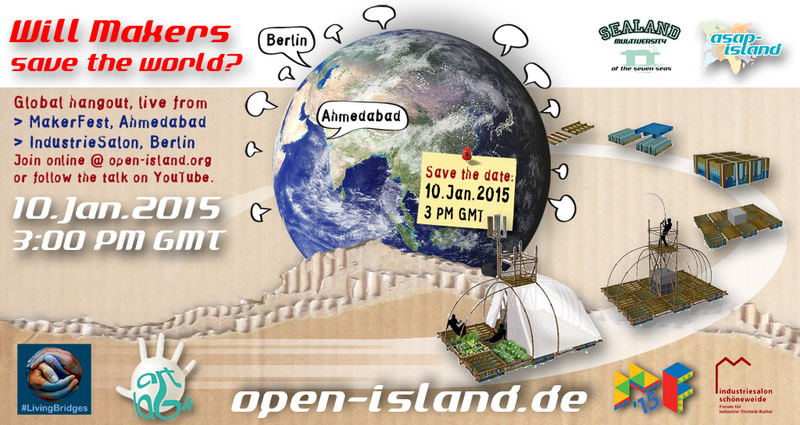 ← Open-Island kommt 2015 nach Berlin.